Here’s the sign I made for outside our room. I love the little computer and books, but I designed the sign and glued everything down before realizing it wouldn’t fit in our laminator. Oops—not quite even anymore! Our room is a former band room and has been split into 3 spaces- the Title I “room,” the Math Lab, and the space for our 2 reading specialists to share in the back. On the side, stretching across all 3 spaces, we have a leveled library. Here’s where I spend most of my mornings! My co-reading specialist takes it over in the afternoon. She was hired before me and did most of the decorating in here, but she’s let me bring in lots of my things, too! I love that we have so many different spaces. I love our bright windows! We have computers alongside the carpet/ easel space, and my co-worker brought in a curtain to add a little bit of homey-ness to the window area. I am loving the CRAFT board from Ladybug’s Teacher Files in our teaching area! Rather than using cards this year, we are just writing the strategies with dry-erase marker. We have a little reading area with my umbrella and comfy seats. We have another table for when we need to do assessments and have a second workspace, along with our shelves of books and book boxes. I love IKEA book boxes. Since our RTI groups can change as frequently as every 6 weeks, we’re using Super Sticky Post-Its to label them. The one thing I don’t love about our space is that I don’t really have a desk area. I am not a super-organized person, and I feel like I have a lot of “stuff” I need access to and there’s no place to put it! It’s hard for me to use our small group table as my “home base” because my partner and I both use that area to teach, so I’m using this little space at the end of our computer table. Most days, I leave out my teacher binder with custom lesson plans made in Word (yup, still loving them as much as ever!). 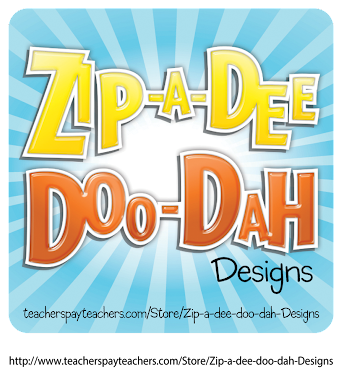 Remember, if you haven’t, you can pick up a copy of the free lesson plan template and you can find lots of tips for customizing it! I have a little basket for my essentials, plus just enough space for my student and planning files and the books I’m LOVING this year. All in all, I’m getting settled in at my new school and in my new position. I am lucky to be working with two other great teachers on my team, and many others in my school, and just plain lucky to be working! That said… THANK YOU for supporting my blog (and in some cases, my TpT store). You are an extra blessing to me as I just work half-time this year and miss having my own class! 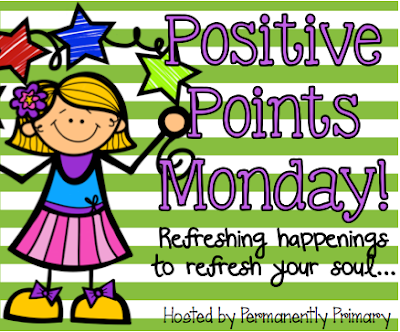 My friend Sarah at Permanently Primary is on a mission to combat the negativity with a Positive Points link-up. I LOVE this idea- I’m an optimist at heart and I think paying attention to the positives really makes a difference in your happiness! And Monday is the PERFECT time for some positivity, right? I got my first paycheck at my new job! In my new position, I don’t have to bring grading home. With moving out of state, I was worried it might take me awhile to make new friends here, but last week I met up with Emily from Curious Firsties. We went to an educator expo at the zoo, ate delicious food (including yummy cookies), and then browsed through children’s books at a bookstore. Perfect teacher-friend night! I am almost done with my F&P assessments! My husband and I are very good friends with a couple who just announced they’re having a baby, and I am so excited for them! A couple of my other friends have recently bought houses or adopted new doggies, too- just makes me so happy! What good things are happening in your life right now? If you blog, link up with Sarah. If not, please share in the comments or on our Facebook page.